Ideal for use as a temporary solution, as and when required. Chemical or mobile toilets are often used on building and construction sites, or as a temporary solution when no water is available. Preferably two (one with a seat and one with a lid) that can be used interchangeably. 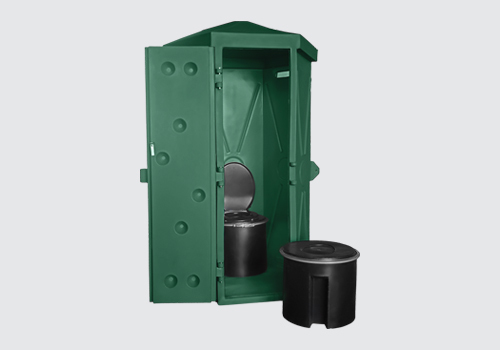 To cover the pit toilet for privacy and shelter from the elements. This is a guideline for a basic application. It may vary based on the setup and personal preference and should be done according to local legislation and manufacturer’s guidelines. Regular cleaning with anti-bacterial agents is vital in order to effectively manage bacterial problems in and around the toilet. An enzyme reconditioner can be used to assist with odours while the drum is in use.